1. How did you first hear about Action Tutoring and what made you get involved? I discovered Action Tutoring online. After looking them up, I quickly decided to get involved because the values of the organisation coincided with issues that mattered to me. Action Tutoring care about tackling social inequality by providing extra help to schools that may need it. 2. What is the best thing about volunteering? It's one of the most rewarding things you can do with your time, and a challenge in many ways, which makes it all the more rewarding. It was a challenge for me to learn and practice the skills to be a good tutor, but rewarding to feel myself improve and, more importantly, seeing my tutees benefit from my improvement. Seeing the pupils grow in confidence in the sessions and make themselves proud is very rewarding. 3. What has been the most memorable moment while volunteering? I was tutoring with a secondary school student who found English a real challenge because it was not her first language; she found many of the given texts difficult to connect with. I brought in texts she said she would enjoy (make-up and celebrity articles in magazines, etc) and we worked on those to build her confidence in reading, retrieving and inference. It was memorable to see that, when we went back to those difficult texts, she was genuinely proud of herself for being able to independently answer questions she had struggled with before. 4. What would you say to people who weren’t sure whether to volunteer or not? I had concerns about travel and time-keeping before volunteering with Action Tutoring, especially as I don't drive, but it was a much easier commitment than I thought. I have volunteered for a time at three different schools and each time they were easy to get to and the bus journey was short. 5. What advice would you give someone who was about to starting tutoring? 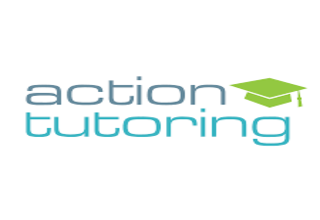 Read the booklet Action Tutoring provides; it excellently presents tutoring techniques, tasks and skills you should focus on with the tutees in sessions. Go into it enthusiastically and you will be met with the same enthusiasm. 6. What have you learnt from your experience of volunteering? I have learned the skills to be able to communicate with younger pupils and make things clear to them, a great skill for me to have developed because of my interest in pursuing teaching some-day. However, being able to communicate clearly is a skill not only useful to me as someone interested in teaching but a valuable life skill in general. Through the great work Action Tutoring has done, I have also learnt how much potential children have and how much a child's confidence in learning can enhance their educational achievement. 7. Sum up your experience of volunteering with Action Tutoring in one sentence. To be a volunteer implies that you are giving something; volunteering with Action Tutoring has been memorable for me because you get so much out of it yourself.